Providence Family Dentistry is a Mableton based family dentist practice that treats patients of all ages. 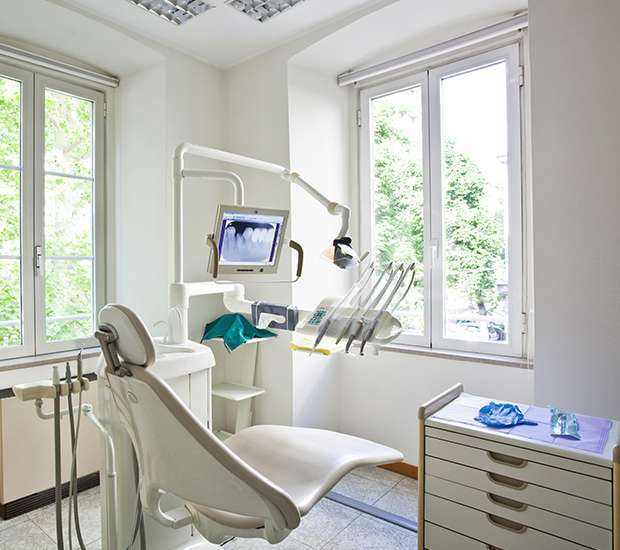 We are committed to delivering the highest quality dental care and do so using advanced dental equipment. We are a cosmetic dentist that offers services like checkups, teeth cleaning, crowns, veneers and more. We also perform emergency dentist services that include bonding, root canals, crowns, and bridges. As a local dentist, we create lifelong relationships with our patients and their families and work to ensure that they receive treatments in a comfortable and relaxed environment. Dr. Tampa L. Rhodes Bell and our staff invite you to schedule an appointment by calling 678-496-7021 and experience why our patients think Providence Family Dentistry is the best dentist in Mableton. Born in Atlanta, Georgia, Dr. Bell was raised by her parents to be a loving, caring, God-fearing young woman. Excelling in math and science at a young age, she was selected to attend a new math and science magnet high school program, where her skills flourished. After being offered numerous scholarships by colleges and universities from across the country, Dr. Bell decided to stay in Atlanta to attend the prestigious Spelman College where she obtained her bachelor’s degree in Biology. After completing her graduate studies, and again being sought after by top dental programs from the east and west coasts, she decided to stay home in Georgia. And attend the Medical College of Georgia (now called Georgia Regents University) in Augusta, GA, where she earned her Doctor of Dental Medicine (DMD) degree. She has been happily providing comforting dental care to her patients since 1996. Dr. Bell is a member of the Georgia Dental Association, the Academy of General Dentistry, and the Hinman Dental Society. She is committed to continuing education and takes many advanced courses each year to enhance her skills to serve the dental care needs of her patients better and provide them with a gentle and comfortable dental experience. She is married to her wonderful and loving husband, Edwin, and is the mother of their two beautiful children, Cornell and Bailee.